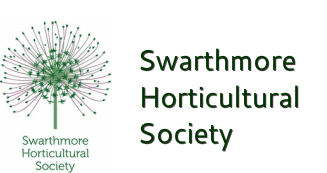 Welcome to the Swarthmore Horticultural Society Website! It's time to get the gardening gloves on for another planting season and we're here to help with two of our popular spring events! 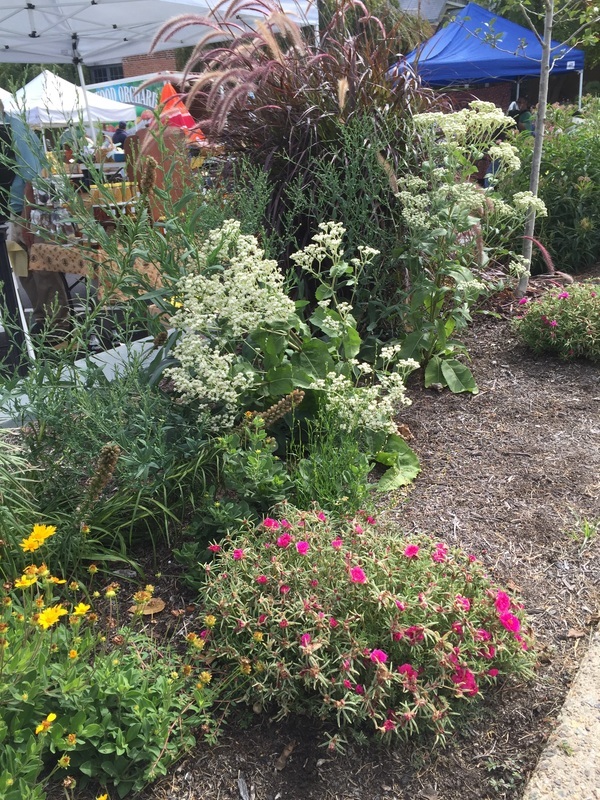 If you’re looking for a great deal on hardy plants that offer year-round visual beauty, be sure to check out our annual Second Chance Plants Sale on Saturday, May 4, 8:30-10 a.m. in the Swarthmore Borough Hall parking lot. The sale will again feature the large junipers and red twig dogwoods selected by Fine Garden Creations that filled the large garden containers around the business district during the winter season. These beauties are ready for transplant to your garden or containers and are priced to sell. All proceeds benefit the town's public gardens planted and maintained by the Swarthmore Horticultural Society. ​Days later we're hosting our annual plant-buying trip to Lancaster County nurseries on Monday, May 6. Once again, we'll be visiting Briar Rose Greenhouse, Black Creek Greenhouses and Conestoga Nursery. Departure is 9 a.m. from Charles Cresson's house. All are encouraged to pack a lunch! If you’re interested in beautiful, affordable plants and some priceless expert gardening advice from our garden managers, join us. This event is a free benefit of SHS membership. Most members use their own car, but we encourage you to sign up for a carpool when you register. You are welcome to join us for the full day or for as much time as you have. You must REGISTER for this trip; the easiest way to do so is email Katie Crawford at katherinelentz@icloud.com or Judy Penney at penney_lja@verizon.net. Charles Cresson and SHS member Denise Disney enjoy the selection -- and prices! -- of Black Creek Greenhouse in Lancaster. On Friday January 11, President Jennifer Pfluger presided over the first board meeting of the year. The meeting started with the introductions of the new board members: Jennifer Pennington (Vice-President), Betty Robertshaw (Recording Secretary), Betty Dowling (Corresponding Secretary) and Corey Ullman (Director-Publicity). Following introductions the board discussed plans for the upcoming year. One plan was the Bon Voyage Party for our four long-term board members who have retired from the board. On Thursday, January 17, we said Bon Voyage to Linda Heffernan, Mary Lou Parker, Ginny Scott and Gladys Snively who have served on the board for many years in a variety of positions. We wish them well and will see them around the boro checking out the gardens. Look for the changes in our thirteen gardens as the garden managers, with many helpers, replant the beds for both winter interest and spring blooms. 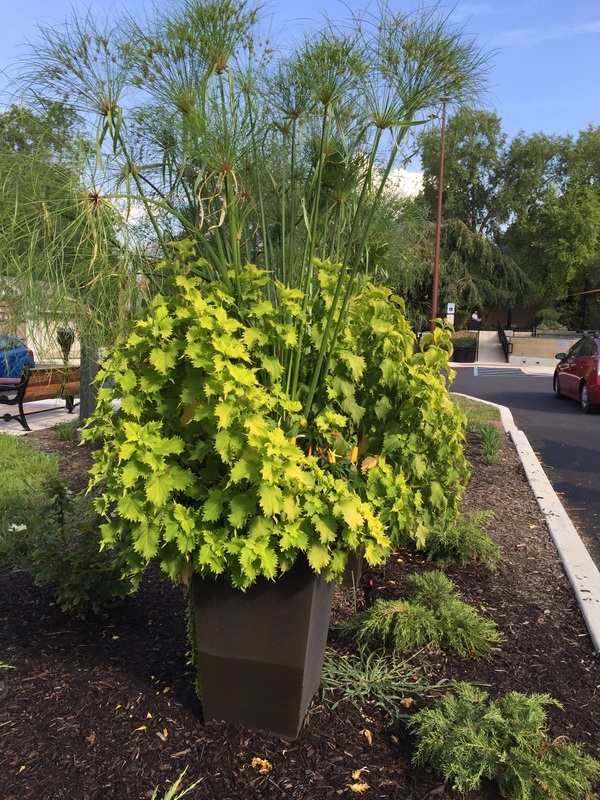 Fine Garden Creations has planted all the containers in downtown Swarthmore for our enjoyment. Imagine a walk through Swarthmore without any of the beautiful public gardens or fabulously planted pots. It would be a different town indeed. 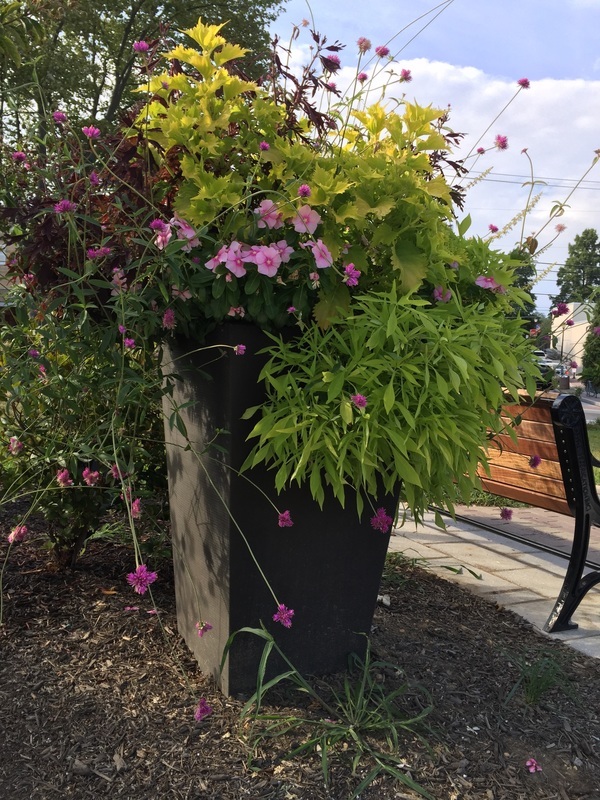 Since 2002, when a like minded group of community members got together and decided to "Make Swarthmore Bloom," the Swarthmore Horticultural Society has been working to create and maintain thirteen public gardens which includes the fabulous containers lining the sidewalk. 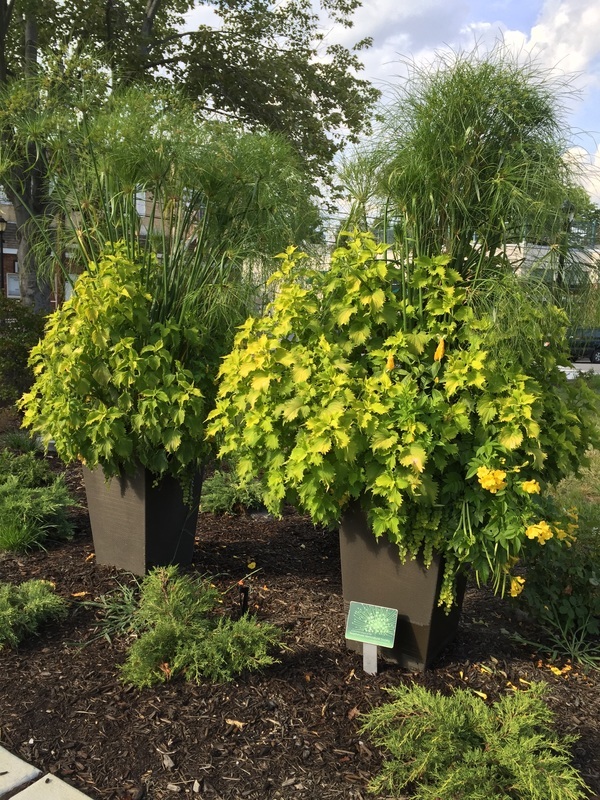 These containers were first donated in 2006 by Andrew Bunting, the former owner of Fine Garden Creations, and the company now led by Elizabeth Haegele continues to generously help with their planting and maintenance. On Friday, October 12th we will imagine a day without these gardens. This effort is similar to the day without art, which highlighted the impact of public art on our daily life and consciousness. 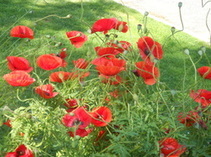 There will be signs marking the town gardens and pots and some gardens will be emptied. If you haven't yet done so, we encourage you to take a moment to join the Swarthmore Horticultural Society by clicking on "JOIN US" above and to become involved in lending a hand towards the maintenance of these gardens for our town. We depend on volunteers to help water, weed, and maintain these public spaces for all of us to enjoy. And please come shop at our bulb sale on Saturday, October 13th at 9:30 am at the farmers' market!! 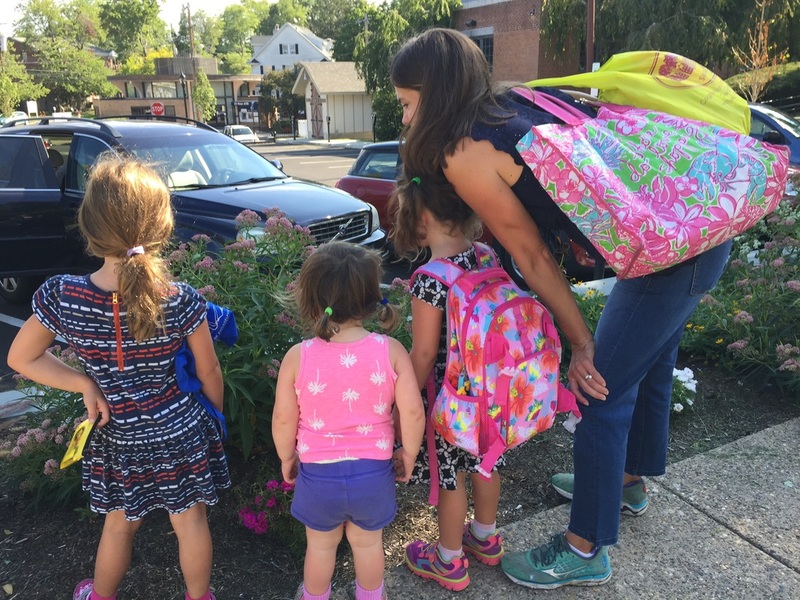 The October 2016 changeover of the SHS Town Center Gardens marked the end of a beautiful summer gardening season in Swarthmore. 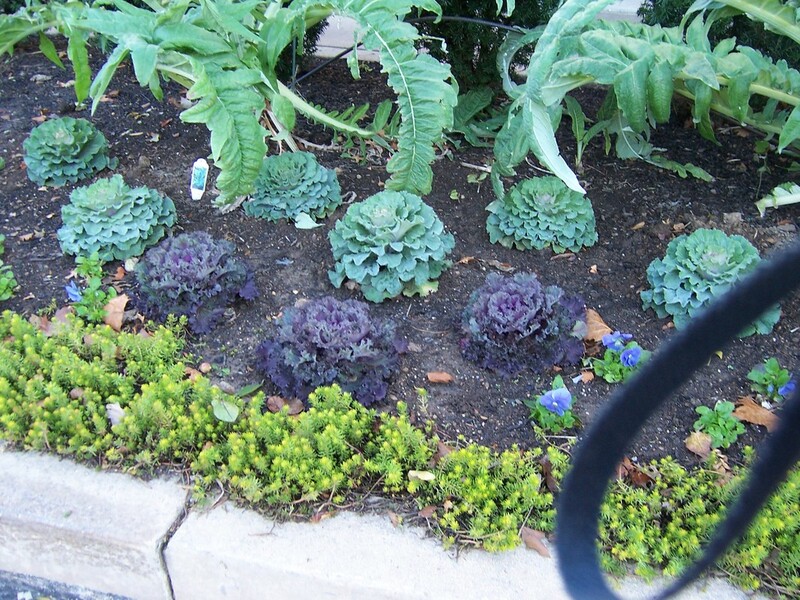 Some SHS gardens, such as Alex's Garden at the Post Office (at left), sported some colorful mums throughout October, and then, in late November, underwent a second changeover to ornamental kale and cabbage. Other SHS gardens, such as the War Memorial (at right), donned kale and cabbage early, but paired them with perky pansies. As in past years, the town containers were replanted by Fine Garden Creations (thank you, FGC, for your gift!) and now feature hardy winter shrubs. One autumn surprise (in a season of surprises...) was the bumper crop of peanuts in the Co-op Garden. In the photo below/ center, Judy Penney (Co-op Garden Manager) admires the peanut harvest with Charles Cresson. By December, the Central Park planters were decked with holiday colors and berries. ​ Happy New Year to all! SHS Unveils TWO Newly Renovated Gardens in Town Center! As a part of this spring's Central Park construction, the former SHS garden that sloped down from the Park Avenue sidewalk to the Borough Hall parking lot is now a level landscape, full of colorful native plants specially selected to attract and sustain pollinators. Garden Manager Bill Pinder designed this magical space with the help of Amy Hart, who funded the purchase of all the plants. In the middle of June's first heat wave, Bill planted the garden, and he has watered and lovingly maintained it over this hot, dry summer. By July, the crowds of butterflies, honeybees, and human fans were gathering to admire his work. 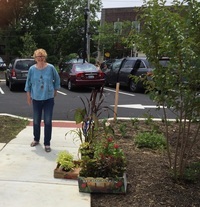 When the bulldozers tore up the Borough Hall parking lot this spring, they also tore up the SHS Dartmouth Avenue Garden, managed by Dotty Lee. In place of the shady Dartmouth Avenue Garden, Dotty was asked to take on the care of the plantings in the newly designed (and very sunny) Central Park Town Green. Moreover, she was tasked with figuring out how to complement the Green's plantings with seasonal interest. The answer? 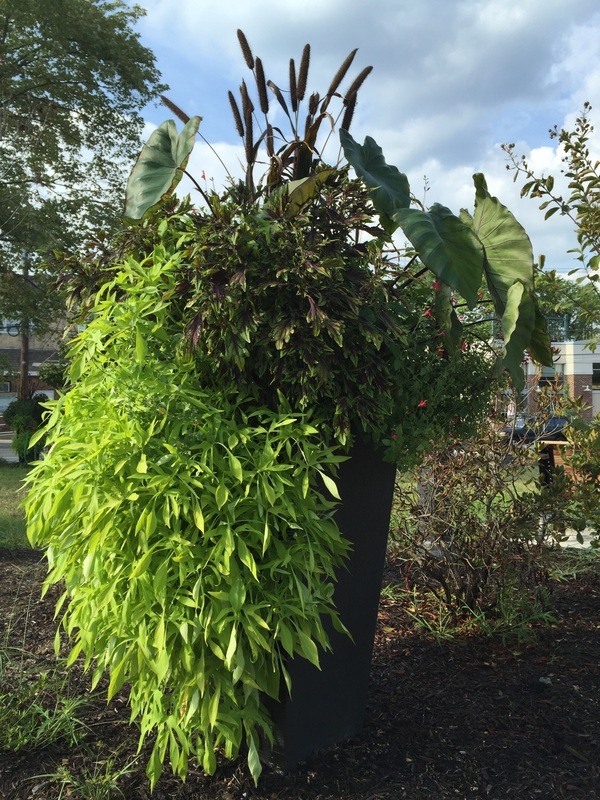 Six sleek, tall containers to be filled twice a year with beautiful flowers and greenery! With the help of her husband, Rick, Dotty had the first iteration of the snazzy pots ready in time for Central Park's July 4th dedication. The containers, which are designed to withstand Swarthmore's winters, have a special irrigation system designed by Rick Lee. Thanks to the Centennial Foundation for supporting this project and paying for the containers. Thanks to Dotty and Rick for their amazing work! Revisit Your Favorite SHS Gardens electronically! Take a horticultural walk down memory lane. 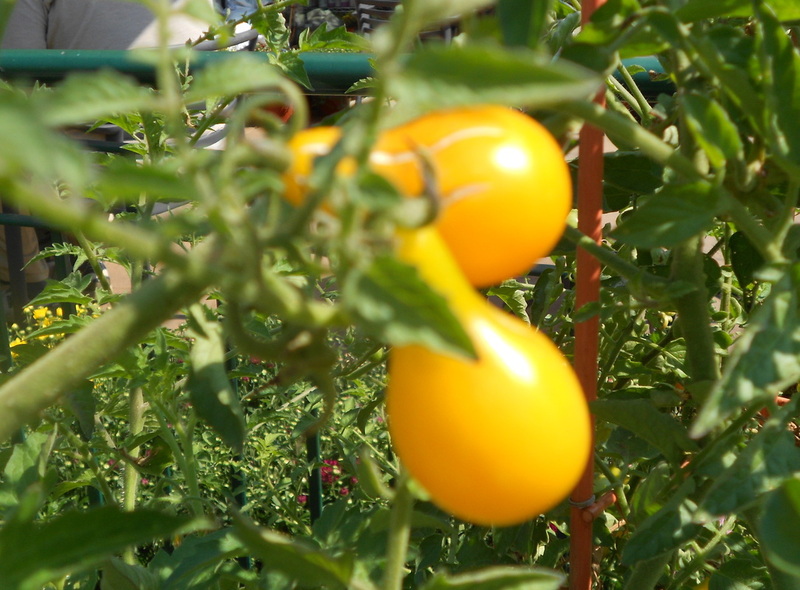 If you click on the "Our Gardens" tab at the top of this Home page, you can see the many iterations of our 13 gardens. We have an archive of photos of our gardens from 2014 until now. ⬅ Remember this beauty? It's a camassia blooming in Centennial Park in spring 2014. Camassia were also featured in the SHS 2013 fall bulb sale. 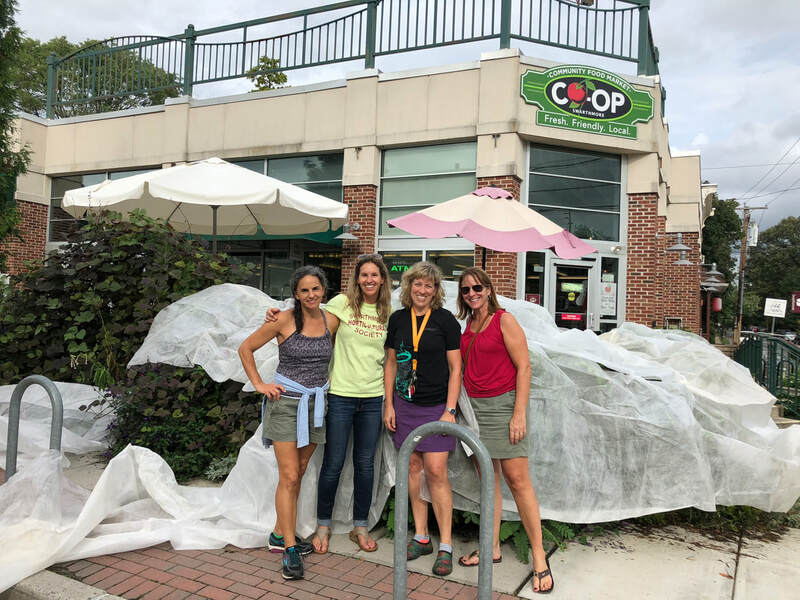 ​Many, many thanks to our garden managers and all garden volunteers who help to replant the town garden beds during Spring and Fall Changeover Days! You are the heart of SHS!